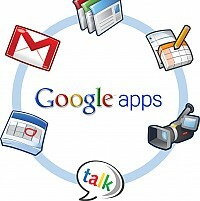 Google is world's leading internet service provider company based in USA. Google has multiple offices and datacenters in every continent. Google is better known for it's free internet based products. The list of Google's products include Gmail, Google Search, Adsense, Webmasters Tool, Google Maps, Google Street View, Google Earth, Google Mars, Android, Moto X, Google Apps, Helpouts, Youtube, Google Wallet etc. Google has winded up some of it's non performing products like Google Reader and Google labs. Google crawls billions of webpages every day to serve latest and valid information on users searches in it's popular search engine. Google's search architecture is known as caffeine that indexes search results for users query keeping their personal preferences on priority. Google's Adsense is one of the most high paying Pay Per Click program for publishers. Google is also coming up with Pay Per Gaze advertising model for it's Google Glass ads publishers and advertisers. Google's helpouts is new service that makes real people available for help and support for needy client in real time. With Apps Google joins enterprise level web hosting (computing) for small, medium and enterprise business houses offering it's world class datacenters for web applications computing. Google's high speed internet services promise to give giga bite speed free for internet users using solar powered baloons in space over a city.